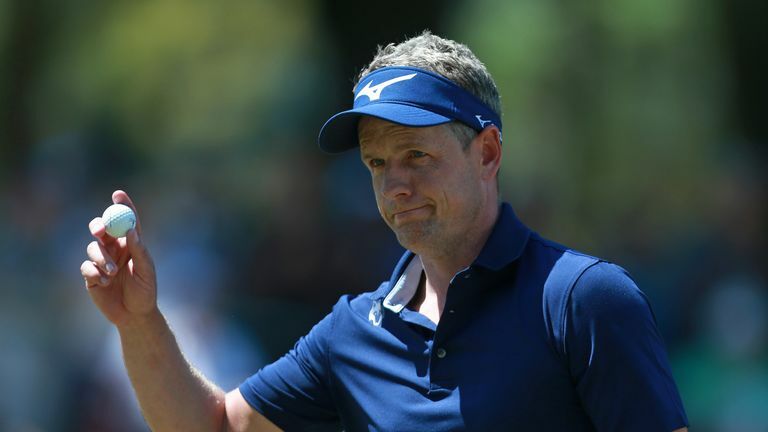 Luke Donald and Louis Oosthuizen made an early statement of intent in the final round of the Valspar Championship with eagles at the opening hole. Oosthuizen started the day four behind overnight-leader Paul Casey but he halved that deficit at the 544-yard par-five. After hitting his second shot into the front-left greenside bunker, the South African splashed out in style as he holed from 82 feet, his ball arrowing into the hole. Donald, the 2012 champion at Palm Harbor, was three behind Casey after 54 holes but moved within one of the lead - at the time - when he followed Oosthuizen with a three at the first. The Englishman was in the left rough, down by the TV tower, with his second shot and 91 feet from the hole. But he played a perfect lofted chip and his ball curled right into the hole to more loud cheers from the crowd around the first. Click play on the video above to watch Sky Sports' James Haddock and Wayne Riley review the two eagles…..